These are the ingredients that expertly measured, allowed us to develop the right mechanism to achieve an excellent product. Kitchen: Solid wood, wood veneer, laminate and lacquered with different aesthetic solutions and with different price ranges. Doors: wood, classic, folding, sliding, armored. With the help of our machines we have created a beautiful range of doors entirely in solid Walnut and Oak frames and trims slightly Baroque and milled to sing better on the doors. Bedrooms: we realize the bedrooms of every kind, with numerous design options with different price levels. Marbles: Veronica kitchens also markets the finest marble from around the world. 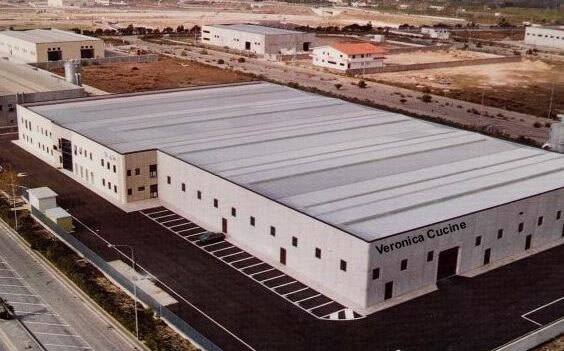 Through continuous improvement of internal expertise, Veronica Kitchen will also offer highly innovative sevices, without losing sight of environmental protection and the highest possible values of reliability, safety, health, power and versatility of use. Veronica kitchens is a way to imagine, organize, and home living. A project of interior detail in which the function of each space is to convey an emotion. Juxtaposing elements, colors, materials and different volumes, it interprets the house with instinct and passion. The result is a series of environments that are followed, each inhabited by a different situation, particularly enveloping. A house with no doors in which the sensations to create space. Behind it all, the search for absolute perfection of style that involves the design of furniture and collection, treatment manufacturing, painting, to the traditional processes such as carvings, inlays and finish by hand. Veronica kitchens, in accordance with a tradition that is consonant considers the kitchen as a natural extension of the area the day of home, a place soberly elegant and refined, deputy to the food preparation but also open space, a place to meet and socialize. The search for Veronica kitchens turned to think of highly innovative products in which the emphasis is typical of technological hyper-functional professional kitchens, and mingled for a softer aesthetic, sophisticated, feminine, perfect balance between functionality and aesthetics of technology and design. Never at the expense of absolute quality.